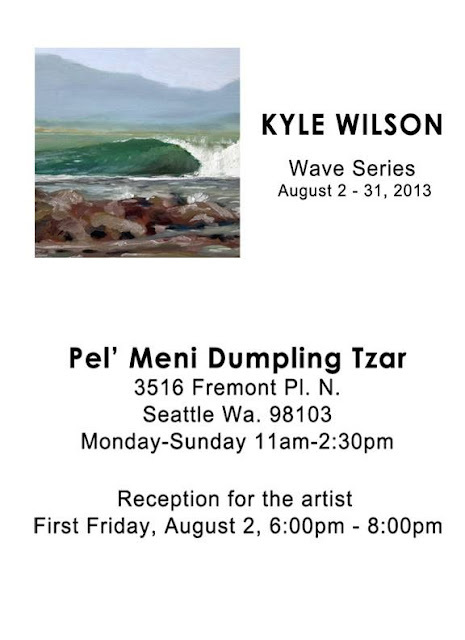 Join us this Friday, August 2nd, at the Pel'Meni Dumpling Tzar in Fremont for the opening of an art exhibition featuring our friend, Kyle Wilson. To be honest, I don't know the details (aside from what's on this here flyer), but I do know Kyle is cool and his art is awesome. Sold? You should be!